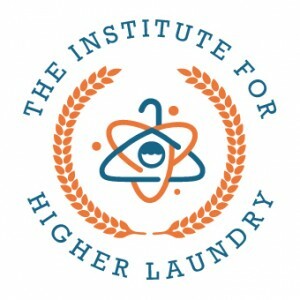 The Institute of Higher Laundry is now accepting “applications”. We admit it, we geek out on laundry. Did you know that we can track down any one single item as it goes through our system? That means, at any given moment we can tell you exactly where your uniforms are in the laundry process. You may have us handle hundreds of textiles, and that seems like a lot, but we handle thousands. That’s right, Thousands. And we never lose a sock. But how is that possible you ask? We actually keep things straight by using Radio Frequency ID (RFID) tags. Fancy eh? Basically they are computer chips embedded in linens and other items to streamline inventory and make things more efficient and cost effective for us and for our customers. As textiles move through our energy efficient, American engineered washing capsules a computer monitors the process and loads the machines, selecting the optimum amount and temperature of water for each load individually, making for the perfect wash each and every time. Did we mention these loads can get up to 600 pounds? No job is too small; apply now for the Institute of Higher Laundry.